The QiLin, also spelled Kylin is a mythical Chinese creature which is similar to a unicorn. It is often known to be a dragon horse mixture since it seems to have the body of a horse and the head of a dragon. According to the traditions, looking at this creature is very auspicious and brings happiness. 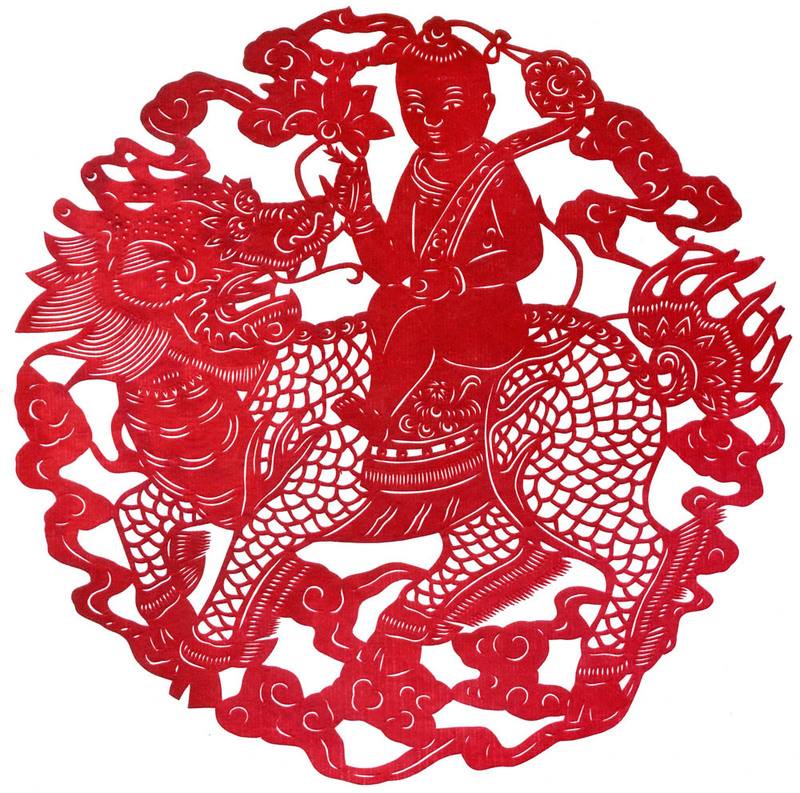 The mythical QiLin symbolizes success, prosperity, longevity and fertility. 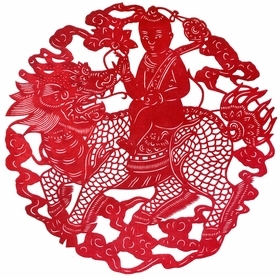 100% Handcrafted Chinese Zodiac paper cuts.